Queen on Monday announced an upcoming 23-date North American tour with frontman Adam Lambert. The “Rhapsody” tour's announcement comes roughly a month after the release of Bohemian Rhapsody, which stars Rami Malek as Freddie Mercury, the flamboyant frontman for Queen who died in 1991 from complications related to AIDS. Bohemian Rhapsody has dominated at the box office, making it one of the highest-grossing music biopics on record. The upcoming tour will launch on July 10 in Vancouver and conclude August 23rd in Charlotte, North Carolina. 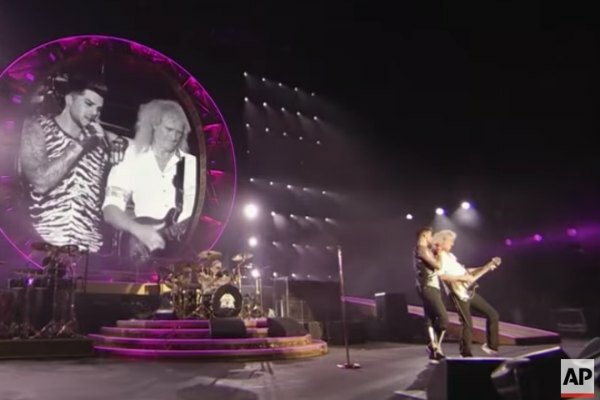 “We are ready for America and raring to get back in the saddle,” drummer Roger Taylor added. Lambert and Queen first teamed up in 2009 for a performance on American Idol and have toured extensively since then.